- [Voiceover] Let's take a look at the…Low Orbit Ion Cannon, or LOIC.…LOIC is used to generate a massive amount…of network traffic in order to consume bandwidth…and exhaust network or application resources.…Such a high rate of traffic results in…performance degradation…and potentially a loss of service.…A user armed with LOIC can perform Denial of Service…against a target... The Low Orbit Ion Cannon (LOIC) is a great and simple tool for DoS and DDoS testing. The Low Orbit Ion Cannon can be downloaded from Sourceforge in a few forms. I’ll demonstrate it here using the Java version as shown in Figure 1. GitHub praisekekboi/LOIC Low Orbit Ion Cannon download. An unofficial port of the Low Orbit Ion Cannon (LOIC) software used for flooding packets; Now on mobile! Simply lock on to a target, specify the numerous attack options and the …... The Low Orbit Ion Cannon (LOIC) is a great and simple tool for DoS and DDoS testing. The Low Orbit Ion Cannon can be downloaded from Sourceforge in a few forms. I’ll demonstrate it here using the Java version as shown in Figure 1. LOIC Download below – Low Orbit Ion Cannon is an Open Source Stress Testing and Denial of Service (DoS or DDoS) attack application written in C# It’s an interesting tool in that it’s often used in what are usually classified as political cyber-terrorist attacks against large capitalistic organisations. how to stop drug cravings naturally LOIC (Low Orbit Ion Cannon) DDoS/DoS Analysis The LOIC tool has been in the news for quite some time now. Many still remember the attacks on Paypal, Mastercard, and Visa, which used this tool. November 20, 2017 haxf4rall2017 how to use loic, loic download, loic for android, loic tutorial, low orbit ion cannon, low orbit ion cannon online LOIC performs a denial-of-service (DoS) attack (or when used by multiple individuals, a DDoS attack) on a target site by flooding the server with TCP or UDP packets with the intention of disrupting the service of a particular host. how to use mac studio tech foundation The HOIC is an upgrade to an older program, the Low Orbit Ion Cannon (LOIC), documented in IntelliShield Alert 22057, which is an open-source tool that is written in the C# programming language. 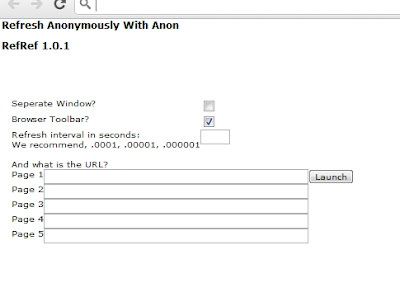 Reports indicate the LOIC is a favored tool of Anonymous and other hacking groups, which is an indication that these attack groups are also using the HOIC. By midnight on January 20th, @AnonOps declared the operation a success with over 5,635 people using the Low Orbit Ion Cannon to bring down the targeted sites: Curiously the night of January the 20 th , my blog was flooded with an unusual number of requests coming from search engines looking for several strings with a common pattern. November 20, 2017 haxf4rall2017 how to use loic, loic download, loic for android, loic tutorial, low orbit ion cannon, low orbit ion cannon online LOIC performs a denial-of-service (DoS) attack (or when used by multiple individuals, a DDoS attack) on a target site by flooding the server with TCP or UDP packets with the intention of disrupting the service of a particular host.